Disclaimer: The views expressed are those of the author’s alone. The author does not represent Eve News 24 or any other entity. That being said, enjoy the article! It has been almost two years since the first Tactical Destroyer class vessel, the Confessor, was released. These ships have taken the meta by storm since their introduction and have reigned supreme as the most used ship on zKillboard for quite some time now. Many have complained about their dominance, citing that these ships (one in particular that shall not be named here) are “overpowered” and “cancerous”, spawning many memes to this effect. That which shall not be named still reigns supreme, almost two years later. If you don’t feel like delving deep into the numbers, here’s the tl;dr: the biggest change is to sharpshooter mode, which will now provide a damage bonus and extra resistances against enemy sensor dampeners and tracking disruptors. To balance this, sharpshooter has lost its scan resolution bonus, and the inherent damage bonus to all Tactical Destroyers has gone from 50% to 33%. Their mass has gone up as well, coupled with a change in propulsion mode from a passive speed boost to an active one, effectively making all Tactical Destroyers a little slower. The Svipul has lost some power grid, making fitting a little more difficult, the Jackdaw lost a midslot in favor of a lowslot, and the Hecate has received a 200 hp buff to its structure. Changes to Tactical Destroyers have been desired for quite some time now. Though I’m a little disappointed in CCP for taking so long to do something about them, I must say that the changes they’ve come up with seem absolutely fair to me, specifically the fact that instead of taking the easy way out and neutering all Tactical Destroyers, they decided to apply the strongest nerfs to the Confessor and Svipul, recognizing the fact that the Jackdaw and Hecate, while strong, were not even close to being on par with their Minmatar and Amarr brethren. As a devout lover of the Hecate, I’ll enjoy ganking unsuspecting victims and surprising them with a hull tank. 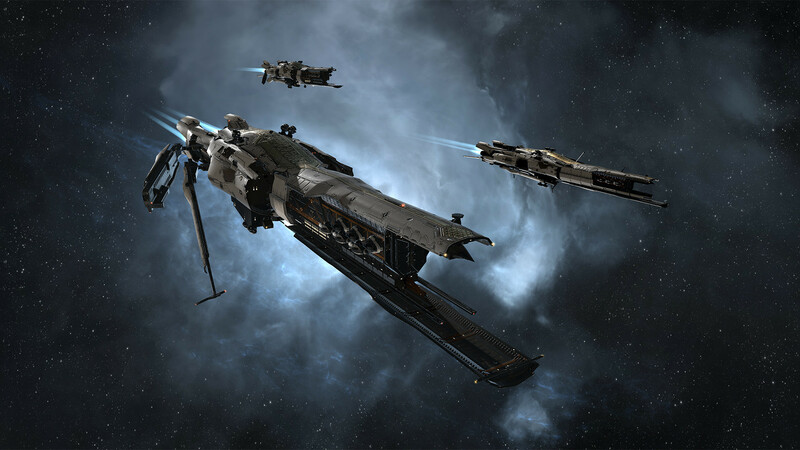 All in all, this is absolutely a good change for Eve Online. Personally, I’d still like to see CCP take a look at Assault Frigates, as they have been essentially rendered obsolete since the introduction of Tactical Destroyers. The devs certainly have their hands full with the upcoming Ascension expansion, but maybe they’ll get around to addressing Assault Frigates someday. A man can dream, right? All credit for the graphs goes to u/Mu0nNeutrino, who also provided an excellent analysis here. Muffin Paladin is EN24’s resident grammar hound. When he isn’t flying with the Iron Armada, he drinks too much coffee and makes fun of Salivan’s use of commas. Thank you for the good writeup. That in fact would be a enjoyment consideration it koleksi vlogger terbaru. Glance advanced to extra produced flexible of your stuff! Having said that, how can we communicate? Aw, this was a very nice post. In concept I would like to put in writing like this moreover – taking time and precise effort to make an excellent article… however what can I say… I procrastinate alot and under no circumstances seem to get something done. whoah this weblog is great i love reading your articles. Keep up the great paintings! You know, lots of individuals are searching around for this info, you could help them greatly. Pretty component to content. I just stumbled upon your blog and in accession capital to assert that I get actually enjoyed account your blog posts. Anyway I will be subscribing for your augment or even I fulfillment you get entry to constantly rapidly. Hello, i think that i noticed you visited my site so i got here to “go back the want”.I am attempting to in finding things to improve my site!I assume its good enough to make use of some of your ideas!! Wonderful web site. Lots of useful information here. I am sending it to a few friends ans also sharing in delicious. And of course, thanks to your effort! Fantastic blog! Do you have any helpful hints for aspiring writers? I’m hoping to start my own blog soon but I’m a little lost on everything. Would you propose starting with a free platform like WordPress or go for a paid option? There are so many options out there that I’m completely confused .. Any recommendations? Cheers! I’ve learn a few just right stuff here. Definitely value bookmarking for revisiting. I surprise how so much attempt you set to make one of these magnificent informative site. I’m now not positive where you are getting your info, but great topic. I must spend some time learning much more or working out more. Thanks for excellent info I used to be searching for this information for my mission. The heart of your writing whilst appearing reasonable at first, did not settle very well with me personally after some time. Someplace throughout the paragraphs you managed to make me a believer but only for a while. I however have got a problem with your jumps in assumptions and one would do well to help fill in those breaks. In the event you actually can accomplish that, I will surely be amazed. That is a very good tip especially to those fresh to the blogosphere. Simple but very precise information… Thank you for sharing this one. A must read post! Greetings, I do think your website could possibly be having internet browser compatibility problems. Whenever I look at your website in Safari, it looks fine however, if opening in IE, it’s got some overlapping issues. I just wanted to give you a quick heads up! Apart from that, fantastic blog! You made some decent points there. I seemed on the web for the problem and located most people will associate with together with your website. Greetings! Very helpful advice in this particular post! It’s the little changes that produce the greatest changes. Thanks a lot for sharing! I absolutely love your site.. Great colors & theme. Did you create this website yourself? Please reply back as I’m trying to create my own site and would like to find out where you got this from or just what the theme is named. Kudos!